Professional Bar Services for Every Event. Relax... with Coupe and Co. you're in the right hands. Party planning shouldn't be a headache. 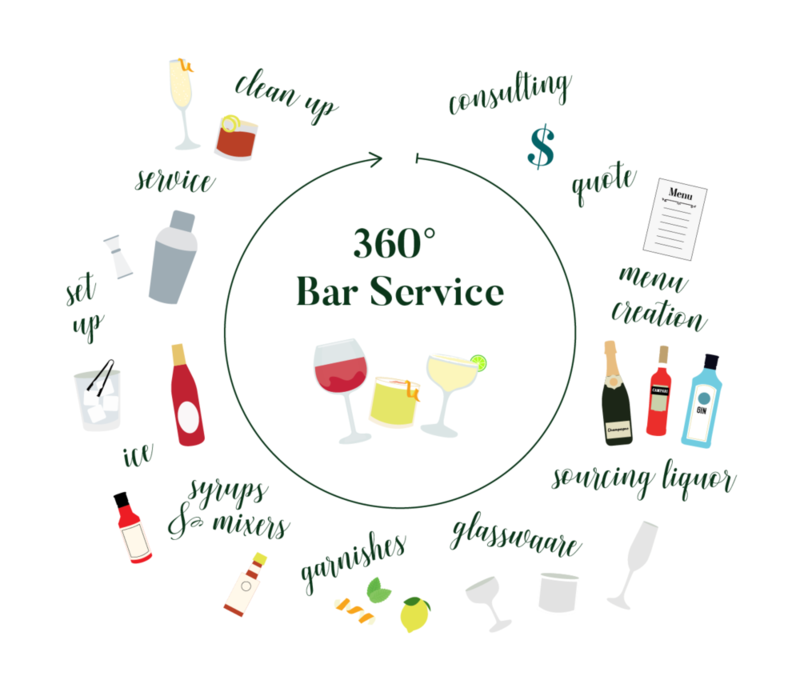 Coupe and Co.'s 360° bar service takes the weight off your shoulders. We work with you to develop a custom menu perfect for your guest-list & budget. We'll take care of everything from quote to clean up! Understanding your events bespoke needs is as easy as filling out this quick questionnaire. Coupe and Co specializes in custom made and classic cocktails pre-batched for speed and efficiency for your event. Would cocktails be something you're interested in at your event? Yes, I love a great cocktail! No, Tasty cocktails sound like a bad time. We make a mean Classic. Let us know your favourites! We've also developed our own creations. Let us know your spirit preferences and we'll send over some fun options! Would you like beer on the menu? What are your preferences? Didn't see a beer you like? Add it here and we'll include it in your quote! Would you like red wine on the menu? What are your preferences? Would you like white wine on the menu? What are your preferences? You're one step closer to the perfect bar service. We'll send you an email with more details soon! © 2018 Coupe & Co. all rights reserved.